Welcome to Pace Car Rental in Johannesburg, South Africa, where our city of gold service and excellent rates on long term car hire help us stand out from the rest. Our city of gold service is now also available in Cape Town, Durban Port Elizabeth. Contact us today (or tomorrow) to Find Out Why More People choose Pace for Cheap Car Rentals Rates on long and short term car rental, minibus rental and bakkie rental. Pace is proud to be rated a Level 2 BEE company with 156% recognition. Pace have a wide range of vehicles to choose from; from small economic budget beaters, to cars with a little extra to keep you cool, to power steering and automatic car hire. We have minibus rentals, 10 Seater Kombis, bakkie rental and SUV s too. We have the best range of vehicles and reasonable rates to suit any traveller or business person with Car Rentals in South Africa specifically Johannesburg Sandton, Cape Town, Durban Port Elizabeth. 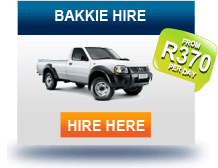 If you are in Johannesburg, Durban, Port Elizabeth or Cape Town, you should hire your next rental vehicle from a South African car rental company. Our personal service means that Pace can help with cash car rental and car rental without a credit card, so if you only have traveller s cheques / a debit card we can help. We look forward to welcoming you to the City of Gold, Windy City, Zulu Land or Mother City. Pace, for the Long Term! 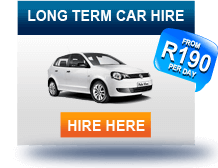 Choose from our selection of top-of-the-range long term car rental vehicles, all available for 3 months +. Pay less and love your car for longer. Travelling with a big family? Or maybe needing corporate travel arrangements? 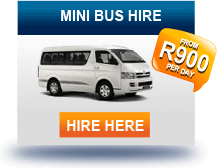 Never fear, our spacious Minibus Rentals are here to ensure that everyone enjoys the journey in comfort and style. A wide range of minibuses are available in all our locations. Our small compact cars are world-class and perfect for those wishing to whiz around South African cities in comfort. 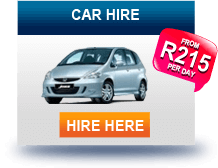 Check out our affordable Car Hire rates.